Whether it’s a turnkey project your organization is involved in or a trivial one, it’s easier than ever before to keep yourself updated. Enter Netsuite OpenAir – a dynamic cloud based project management software which makes it easier for project managers and members to contribute & coordinate. Robust and scalable software implementation is in general common, but there is a dearth in organizations ability to successfully manage resources, accounting and finance, projects, employee timesheet and their expenses. 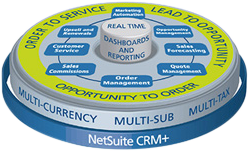 NetSuite OpenAir is the world’s #1 cloud professional services automation (PSA) solution offering greater visibility and control for project-based businesses. NetSuite lowers your bench time, raises on-time project delivery, improves invoicing accuracy, rationalizes revenue recognition and surges services visibility. 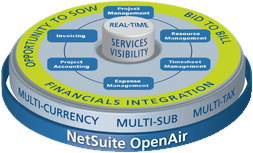 More than 1,500 small and medium companies are using NetSuite OpenAir suite. 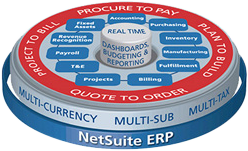 From employee management and project management, resource time and expense tracking, project accounting and advanced billing / invoicing, NetSuite OpenAir supports the entire professional services delivery lifecycle with a powerful cloud based Software-as-a-Services (SaaS) suite. From NetSuite OpenAir helps project managers and team members to join forces on projects and maintain current and precise project status at any given time, allowing managers to proactively recognize and resolve possible intimidations to the success of each and every project. The result is a ominously enhanced project completion record, more pleased clients, and reduced non-billable work. Project managers can quickly view the status of each project using Gantt charts or use task completion reports to classify and drill down to jobs that might be in jeopardy. NetSuite OpenAir platform helps your organization deepen your client engagement by giving them access to detailed project status reports. Project management tools including Gantt charts, exceptions reports and project status synopses give clients the information they need to remain proactively involved and up to date on project progress.